There’s nothing like having a few extra tools handy when building a business. That’s where we come in. Along with leads, we help companies understand the landscape and identify marketing opportunities. Our resource center is designed to save you time and ensure you’re delivering quality marketing that hits the mark today...and tomorrow. Have questions? Just ask...We’re here to help you grow that business. Still not sure about investing in direct mail? See how direct mail works for movers. We're happy to share what we've learned in over a decade of helping movers with Direct Mail. Check out our Design Cheatsheet (PDF) and blog post Get More Calls with These 9 Simple Postcard Design Tips. To start Automated Postcard Service, simply submit your postcard design. To make sure the designs meet our printer specifications, please download and provide the following to your designer. Don't have a designer on your staff or in your network? No problem! Here are suggestions to Finding a Graphic Designer for your postcard artwork.. Many movers feel that doing a good job will earn them actionable word-of-mouth, but let’s be honest, you have to do a little work to capture referrals and grow that customer base. Don’t believe in the power of referrals? 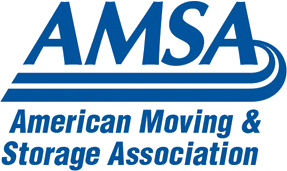 Check out our recent Consumer Survey for Finding a Mover (PDF). It’s a quick read with valuable insights into how people choose their moving company. Spoiler Alert: Referrals are the biggest motivator...by far. Marketing to folks in the process of selling their home is smart. We help moving companies and other industries to connect with this unique target market. There’s no doubt that great leads are incredibly important, but how you market to them will determine if your phone is ringing. Here are a few marketing gems we want to make sure every moving company has. In order to learn which forms of marketing lead to the best results, moves should track all their leads. Read our tips for tracking direct mail response rates here. If you're not on our Mover Newsletter email list yet, it's time to join hundreds of other moving companies who are looking for an edge in the moving industry. Check out our blog where we share hot tips and insights on marketing in the moving industry. It's tips, tricks, news that movers can really use.